*Today on the blog, I want to introduce you to a fabulous lady, Paige from Moments for the Journey. She is so inspiring, and such a blessing! Hey y’all. 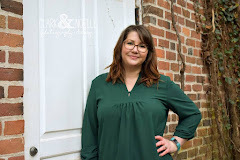 My name is Paige and I blog over at Moments for the Journey I am so excited to be here with you today and I count it an honor to guest post here on The Artsy Cajun! I hope you all don't mind a short break from Jessy’s wonderful posts to read mine. Those wonderful scenic countries are not the only places I think of when I think about vacation spots. There are also less known towns and landmarks that I have discovered that hold their own beauty. It is these places that have stolen my heart and taken over my photo albums. Outer Banks, North Carolina - If you have never been to the Outer Banks in North Carolina you definitely should! It doesn't get any better than sitting in a hammock on these cozy small town islands. They are full of pirate history, have wild horses running on the beaches, and the kayaking is amazing! Maggie Valley, North Carolina - This is the small town that I want to settle down in some day. It is 30 minutes outside of Asheville and is the perfect mountain town. You have the small town feel with beautiful Smoky Mountain views. My husband and I spent our honeymoon in Maggie Valley and I absolutely cannot get enough of it. Uinta Mountains, Utah - My hubby and I spend almost every weekend during the summer backpacking in these beautiful, majestic mountains. Scattered throughout them are hundreds of clear, glassy lakes. If you ever visit Utah promise me that you will go hiking in the Uinta Mountains. What are some of your hidden gems of vacation spots that you go back to over and over again and have countless pictures of? Really...beautiful lakes in SC? That's where I grew up and I have never even heard of those lakes. I was missing out the whole time!